The Alliance strikes at the heart of the Zandalari empire—while the defenders of the Horde will rally to their new allies’ defense—in an epic new raid, Battle of Dazar’alor. 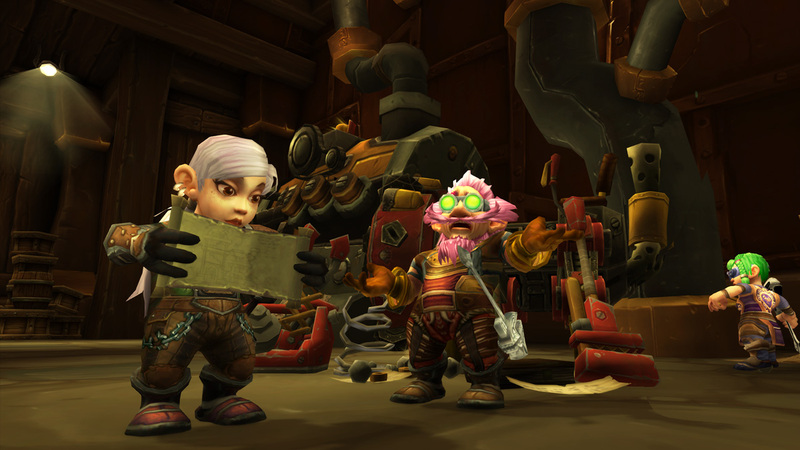 This new raid provides both Horde and Alliance players with unique encounters for their faction—along with the opportunity to play through events from the opposite faction’s viewpoint. PvP Season 2 has begun and introduces an updated Conquest reward schedule, mounts, and gear. Players who earn 500 Conquest points in a given week through PvP activities including Arenas, Battlegrounds, and Assaults in War Mode will be still be able to choose a piece of gear from each week’s selection; in addition, they’ll now earn a Quartermaster’s Coin, which can be collected and ultimately used to upgrade pieces from this season’s Sinister Gladiator PvP set. The new Mythic Keystone Dungeon season opens opportunities for new rewards and a new challenge with the new seasonal affix: Reaping . High-level Keystones will now summon Bwonsamdi, the Loa of Death, to wreak some spectral havoc upon players’ dungeon run. As heroes kill enemies, the vanquished spirits will continue to linger in the mortal realm. At certain points throughout the dungeon, Bwonsamdi will resurrect these twisted souls, who will swarm the unfortunate adventurers in a final act of vengeance.